Cantina Tollo is a Cooperative of Abruzzo. They are the example of how a large company can still make beautiful wines. 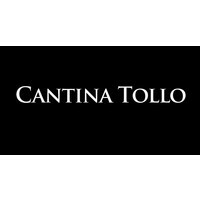 Since there is provided a wide variety of soil quality and the many vintners Cantina Tollo has a very diverse range of products and product lines. Large Slovenian oak casks and barrels, in addition to modern facilities for the education of the wines characterize this wine cellar that has always played a leading role in the Abruzzese wine culture. Cantina Tollo was founded in 1960, when the Abruzzo countryside was depopulated; many Italians had left the country in search of a better future. The fathers of the present owners, on the other hand, winemakers for generations and generations, decided to continue working in the vineyards, and create Cantina Tollo. Cantina Tollo played a leading role in the sixties and seventies in an exciting period for the wine, which the Abruzzo region back to life. Cantina Tollo played an active role in helping to bring about a radical change in the local viticulture. While there was a decline in production in the near Teramo and L'Aquila, grew territories occupied by vineyards in the province of Chieti little by little, especially in Tollo, which was a real "City of Wine". Cantina Tollo has also played an important role in the process of regulatory initiatives for the protection of regional wines and quality improvement programs for the grapes and winemaking techniques. Today it is one of the most important and established companies in the Italian wine industry, with a presence in all countries of the European Union, North America and the Far East. It exports 35% of its production, with particular attention to the emerging markets of Russia, India and China. The facilities for education of the wines, located in Tollo consists of large Slovenian oak casks and barrels in addition to cement tanks, today regarded as the best for aging. Passion, commitment and shared values ​​Cantina Tollo guided at every turn in history, and keep the key to his success. 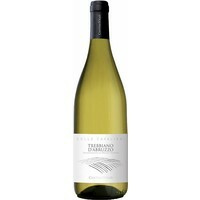 We selected for you the two most typical wines of the region, a Trebbiano and Montepulciano.